Elevate the guest experience with the brilliant new LRS Guest Pager. The trusted guest pager, completely reimagined, gives you more control. You understand the importance of communicating with guests simply and efficiently. 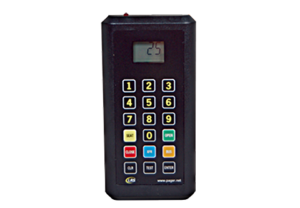 LRS guest pagers give you a non-obtrusive, discreet alternative for notifying customers when they’re needed. Traditional paging systems are simple to operate, deliver messages instantly, and customers immediately understand how to respond once notified. And for those looking for a more robust communications solution, LRS paging system APIs make it easy to integrate into other business applications. Give patients, family and visitors peace of mind that they’ll receive the care they need with an LRS patient paging system. Cater to diner’s needs. 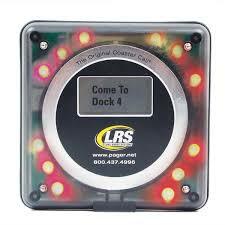 Reassure guests you’re attending to them with LRS guest pagers and management systems. Tried an true, the LRS Guest Paging Kit has been the trusted paging solution for the last 20+ years and is our most popular paging system. 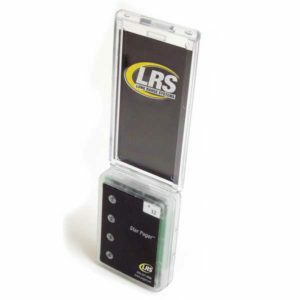 Traditionally thought of as the original restaurant pager, the LRS Guest Paging Kit is now used by a diverse group of businesses with guest paging needs. This kit includes the 9560MT transmitter, Guest pagers, charging base(s). 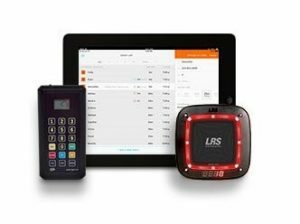 Simplify the restaurant wait list process with On Cue for Restaurants and an integrated LRS paging system. LRS’ free iPad wait list application, On Cue, is easy-to-use and equipped with fast guest entry, multiple options for notifying waiting guests, and a table management feature. 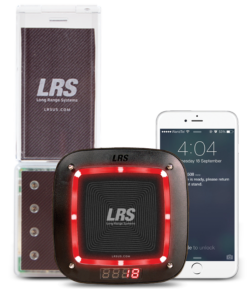 When integrated with LRS guest pagers, guests can choose to be notified by either text message by an LRS restaurant pager. This kit includes a full guest paging system and the free On Cue for Restaurants iPad application (includes 25 free text messages). Raise your standard. Elevate your guest experience with the brilliantly new LRS Guest Pager. Download the easiest, most complete waitlist app for free and receive 25 free text messages when you register. When integrated with the On Cue waitlist app and an LRS paging system, the Table Updater enables staff to instantly update table statuses from across the restaurant. 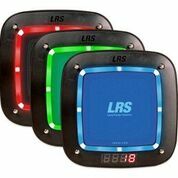 Featuring an advertising panel where a custom printed insert may be used to promote your business or events, a popular alternative to the classic LRS Coaster Call pager. Send specific messages to your guest by using the Alphanumeric Coaster Call pager. 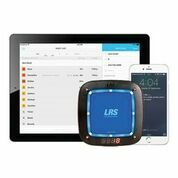 Notify guests on their cell phones as well as pagers directly from an LRS Guest System Transmitter without requiring an iPad or Android application. Elevate the guest experience with the brilliantly new LRS Guest Pager. The trusted guest pager, completely reimagined, gives you more control.